Carpathian TOURISM CLUSTER ROMANIA is an independent network of regional and national tourism stakeholders and Romania´s first supra-regional tourismus cluster of national interest. The main target of Carpathian Tourism Cluster is the development of innovative tourism services to attract new tourists to the area of the Carpathian Mountains. TravelBuzau.com is a tourism initiative managed by the tourism development association Monteoru Renaissance. The initiative supports the tourism promotion of Buzau county and the Dealu Mare wine region. 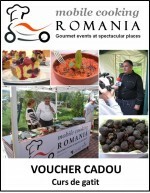 APDT – Asociatia pentru Promovarea si Dezvoltarea Turismului din judeţul Brasov- is the tourism development association of Brasov city and Brasov county. ANAT is the organization of tour operators and travel agencies that aims to represent and defend the professional interests of its members and to raise the quality of tourism activities in Romania. City Compass is offering information & services for expatriates, international companies and foreign tourists in Bucharest and Romania.The offer comprises guided tours, executive retreats and events, intercultural training, relocation services and travel tips.